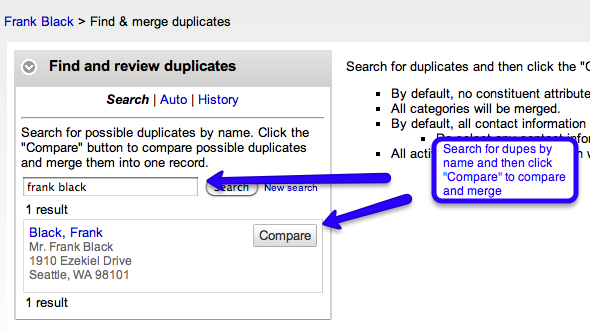 If you find duplicate records in your database, you can merge them together into one record. 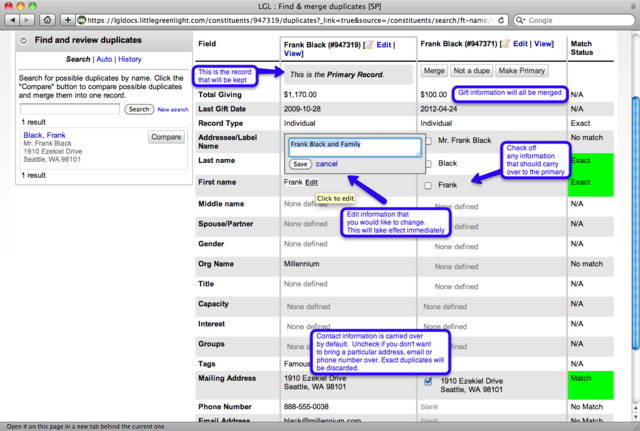 When records are merged, all related activity (gifts, tasks, contact reports, notes, etc.) and category information is automatically carried over. 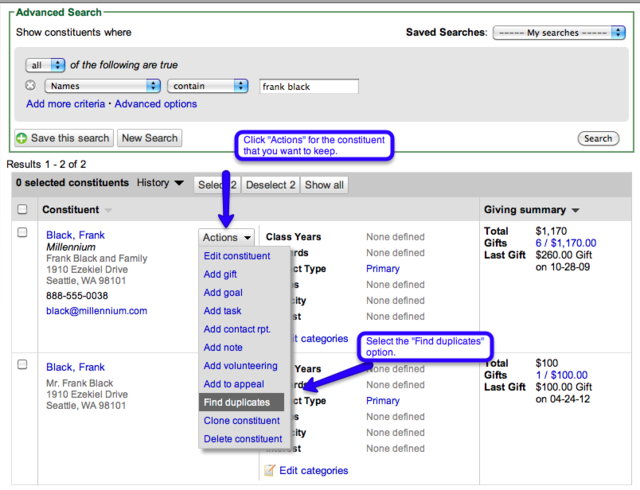 Click the Actions button for the record you want to keep, and then click Find duplicates. 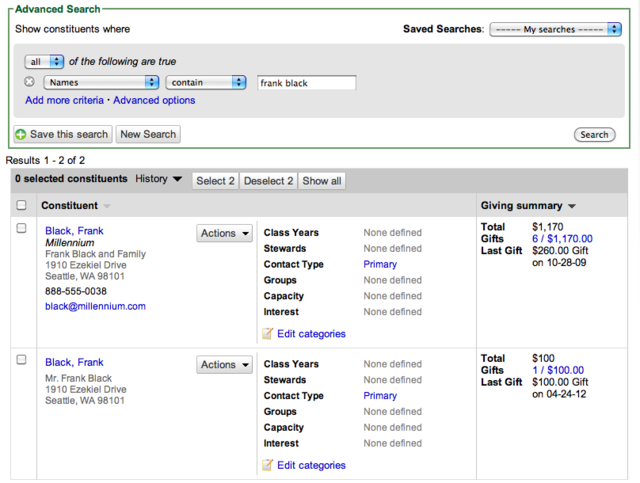 Search for "Frank Black" (the search text field might auto-populate for you as you type the name), and then click Compare. Review and merge the second record into the primary one (by clicking the Merge button). During this process you can make adjustments to both records, including checking or unchecking certain pieces of information in the secondary record to determine what comes over. Note: Merging the two will cause the gift data from the record you are merging to be brought into the primary record. If you decide that the records are not in fact duplicates, you can click the Not a dupe button. Alternatively, if you want to switch which record is the primary one, click the Make Primary button for the one you want to make primary. If you need instructions for unmerging a merged record, read Unmerging a merged constituent record.